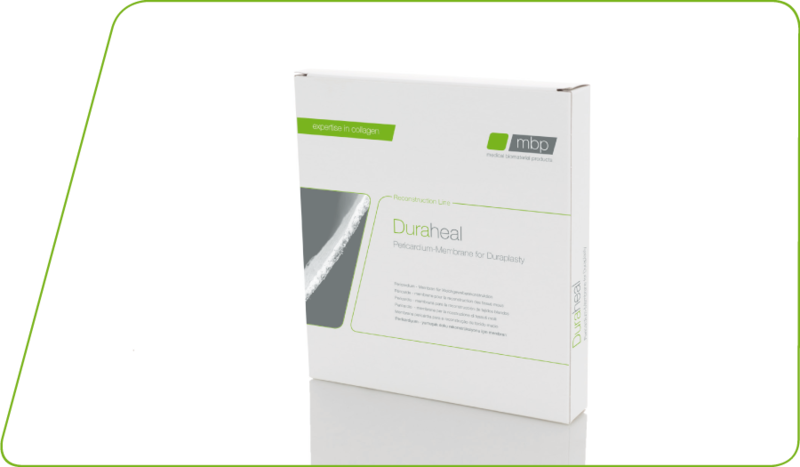 Duraheal is an acellular, non-pyrogenic collagen matrix derived from porcine pericardium. 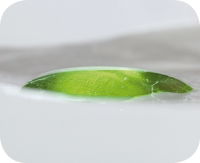 Duraheal is intended to be used as surgical collagen membrane, during neuro surgical procedures for a CSF-impermeable sealing of Dura Mater defects.The dense alignment of Duraheal‘s collagen fibrils establishes a closed surface preventing liquor penetration and at the same time, offering a guide rail for cells to regenerate the Dura. Thus post-operative CSF-leakage through the membrane is effectively prevented and an important prerequisite for fast generation of new Dura is given. Duraheal may substitute autologous tissue in duraplasty and saves valuable operation time on the one hand and prevents additional pain for the patient at the donor site on the other hand. Duraheal is a thin, thoroughly purified collagen matrix and is offered free of preservatives and additives, resulting in high tissue tolerance. Class III medical device according to European Guideline 93/42/EWG. Certified according to DIN EN ISO 13485:2012. Copyright © 2013 mbp. Designed by	TemplateSquare.com.